Can you believe it’s almost February? Valentine’s Day, to me, is the first real holiday of the New Year. Each year, we do something special even if it falls on a weekday. We’ve been in New York during Valentine’s Day two years ago for Fashion Week and it was absolutely amazing. Last year, we celebrated at the Langham Boston. This year though we are keeping it pretty much low-key, since Amit got his knee surgery done and is advised bed rest for a few weeks. His surgery was last Friday and all weekend we’ve been couch potatoes – watching TV nonstop and eating all the junk food in the world. He’s recovering… but what’s my excuse? =)) We’ll probably order in on valentine’s’ day and do some sort of movie marathon. That is our favorite kind of romantic evening anyway! I am a huge believer in treating yourself from time to time, you know – most times the one person we usually forget about is – ourselves. So Valentine’s day is one occasion when I invariably buy myself something nice. A little dose of self-love is what the doctor ordered! At home, I am always in my PJs and this fuzzy hoodie in the cutest blush color stole my heart. ( no pun intended ). 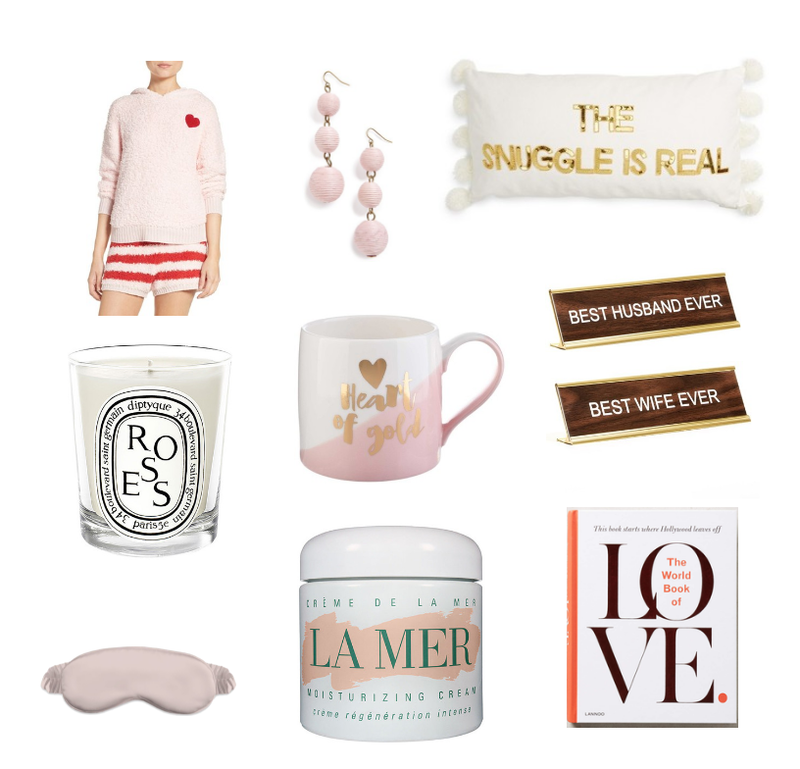 This “the snuggle is real” sweatshirt is also so cute. We are redoing our master bedroom and these signs would be so perfect for each of our nightstand. I am a sucker for these candles and just ordered the Roses scent( if you havent gotten one yet, you are seriously missing out on something seriously amazing). Ah! I love the coffee mug. That pillow!! I think it’s going to be a new addition to our house for sure! How cute!!! Love all the stuff! Such cute picks! Love that cozy sweater and I’m seriously addicted to La Mer! OMG that pillow is adorable! And I still need to get myself a pair of those Crispin Drops. So cute! How cute is that fuzzy pj set?!! I love it! You’re right, I do want it all! That sweater is adorable! Love these super cute picks! Loving that cute pillow! So fun! Happy Galentine’s Day! Yep, I’ll Take one of each please.